In part 2, Dr. Riordan discusses how mesenchymal stem cells can affect tissue repair in spinal cord injury and in heart failure; benefit to heart is not the actual MSCs modeling new tissue. It is due to the trophic effects of MSC secretions; In rats, severed spinal cords re-grew after MSCs were implanted but the human MSCs did not form new cord tissue. The trophic factors secreted by the MSCs enable the spinal cord to repair itself. 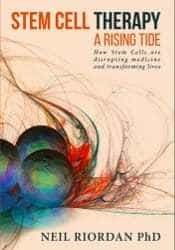 ; Trophic factors from MSCs modulate the immune system by blocking clonal expansion of cytotoxic T-cells; There are 35 ongoing clinical trials using mesenchymal stem cells for autoimmune diseases; Safety of donor MSCs; Every mother has MSCs from each baby she has carried; Mothers have a lower incidence of autoimmune disease; Lifespan of mothers increased linearly with each child up to 14; There are 85 ongoing clinical trials using donor MSCs. Allogeneic MSCs from bone marrow have been approved in Canada and New Zealand to treat graft vs. host disease; limbal cells used in corneal transplants are MSCs; MSCs are useful in preventing donated organ rejection; glioma growth was found to be inhibited by MSCs; MSCs eliminated breast cancer in rats. Dr. Riordan discusses focuses on mesenchymal stem cells harvested from fat tissue and the role they play in reducing inflammation, repairing tissue and modulating the immune system. 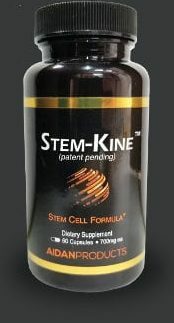 Stem cell Treatment protocol for autoimmune diseases such as rheumatoid arthritis. Why stem cells must be administered systemically for autoimmune diseases. Dr. Paz elaborates on the disadvantages of same-day fat-derived stem cell treatments. He presents the scientific rationale for treating rheumatoid arthritis (RA) with fat-derived stem cells along with a published case report including patient video. Presentation of similarities between MS and RA and how MS is treated with a combination of human umbilical cord-derived stem cells and adipose stem cells. Dr. Paz discusses why MS treatment includes umbilical cord-derived stem cells. In Part 1 of 3 Dr. Paz discusses his internal medicine background in New York and Texas, and how he got involved with stem cell treatments in Panama. He highlights why licensing, technology and quality control make the Stem Cell Institute in Panama different from other clinics around the world. 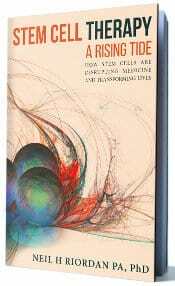 Dr. Paz then touches on why “same-day” fat-derived stem cell treatments are less than ideal. He concludes part 1 by discussing several US universities with which the Stem Cell Institute has collaborated on research. Dr. Riordan discussed types of stem cells used in treatments with a focus on adipose and umbilical cord derived stem cells, including their roles in immune system modulation, inflammation reduction and tissue repair:Autoimmune diseases and spinal cord Injury are highlighted. Dr. Riordan is the Founder of the Stem Cell Institute in Panama City, Panama. My name is Jane Wrede I have an autoimmune disease called Pemphygoid. Pemphygoid symptoms in my mouth and throat gradually improved after stem cell treatment so that my gums are firm, I feel no pain and can eat all but hot and spicy food! My eyes continue to be dry and I use sterile drops when they feel tired and sore. This is less severe than before and not until late in the day and sometimes at night. With such strong signs of remission and impatience with side effects, I took it upon myself to taper prednisone from 20 to 7.5mg/day and after 3 weeks at 7.5, I see no change in my healthy oral condition. All sores healed and not new blisters. I count this as successful!